Sourav is the founder of Netscribes and has been spearheading its strategy and business development activities since its inception in 2000. Set up as a classical start-up with just 5 employees, Netscribes has successfully raised three rounds of private equity capital and now ranks among the top research and market intelligence firms in India. Sourav was formerly the Finance Editor of The Economic Times, the world's third largest business and financial daily, and part of India's largest media house—Bennett, Coleman & Co (owners of The Times of India Group and other major brands and properties). During his 10-year stint, Sourav drove finance and industry sector news, carried out strategic initiatives like building in-house databases, structuring and launching new products, and research initiatives. He was also responsible for recruiting and training personnel, and managing large teams of writers, analysts and researchers. Prior to joining The Economic Times, he was involved in business reporting with The ABP Group of Publications—eastern India's largest publishing firm, and teaching English at graduate and post-graduate levels. Sourav holds a postgraduate degree in English Literature with specialisation in medieval European classics, and is a National Educational Trust qualified university lecturer in English literature. Sumit is responsible for overseeing all operations across the company’s offices and executing Netscribes’ business strategy. 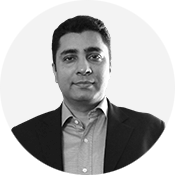 Sumit has over 14 years’ experience in providing companies with capital and strategic advice to support their future growth. Prior to joining Netscribes, Sumit was a Director at Helix Investments, where he led growth investments and management buyouts across IT, ITeS, education and industrial sectors. Earlier, Sumit was a management consultant with KPMG, and has also worked with Cognizant Technology Solutions in the past. Sumit holds a post graduate management degree from IIM Bangalore, and a Bachelor of Engineering degree in Electronics as well. 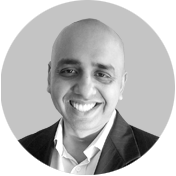 Gagan has over 10 years of experience in business research, market intelligence and information services. Prior to his current role, he was the Operations Head for the Mumbai centre, leading project teams for clients from the IT, PE/VC, manufacturing, publishing and healthcare industries. Gagan has also worked extensively on one-off research assignments and knowledge management projects. He has a keen interest in internet technologies, and passionately follows the developments in this space. Before joining Netscribes, Gagan was running an IT start-up that he had co-founded on campus. Gagan has attended IIT Bombay, pursuing a B. Tech. in Chemical Engineering. He is also the recipient of the National Talent Search award from the Government of India. Andy is responsible for driving the US business development strategy for Netscribes, Inc.
Andy was the founder of FIND/SVP, Inc, a leading business intelligence, market research and advisory firm that later merged with Guideline, Inc, which was then acquired in 2007 by Infogroup, and then merged with Opinion Research Corporation. He retired as CEO of the company in 2004, but remained active in a consulting capacity until 2010. Started by Mr. Garvin with just USD 12,000 in capital, FIND/SVP grew organically and by acquisition to be a USD 50 million publicly-held firm. It served the research needs of more than 1,000 retainer client organizations. The company is known for revolutionizing the concept of quick question-answering through telephone consultations with expert professionals and, later, via the Web. Operating now as ORC International, the firm remains a leading market research company. Mr. Garvin has been a member of the Board of Directors of the Information Industry Association, and remains an active member of the American Management Association, and the American Marketing Association. From 1987 to 1996 he was a member of the Young Presidents’ Organization (YPO) and is now a member of the World Presidents’ Organization (WPO). He has been the moderator of his WPO “Forum” group for several years. 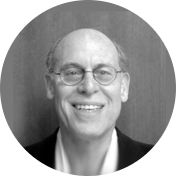 Keith is responsible for global sales across several verticals within Netscribes. 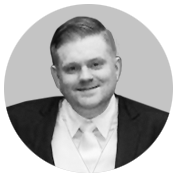 Prior to joining Netscribes, Keith established a strong sales, marketing, and operations track record while working in the market intelligence and research space, as well as with industry leaders such as GDS International, Verizon Wireless, and Wells Fargo. In addition to his responsibilities at Netscribes, Keith is a proud supporter of the Rutgers University football team and is involved with various animal welfare groups such as World for All Animal Care and PAWA India. Gaurav heads all market intelligence delivery across the firm. 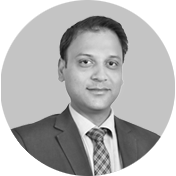 Gaurav brings a well-rounded general management experience with a proven track record of over 15 years in operations, key account management, project management and client servicing. Prior to joining Netscribes, Gaurav has led the market research functions for several insight firms, including Moody’s Analytics, SG Analytics and Evalueserve. Gaurav holds a Bachelor of Science degree in Electronics from the Delhi University, India. Vice President and Head - HR Samruddhi is responsible for managing and developing human resources at Netscribes. 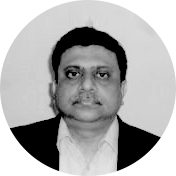 Samruddhi has worked in the field of human resources for over two decades, managing and developing talent across varied industries and sectors including Banking and Financial Services, Venture Capital / Private Equity, Strategy and Management Consulting, IT and ITeS, Advertising and Social Media, Pharmaceutical and Healthcare, and NGOs. In her past roles she has acted as an effective strategic business partner and a catalyst for innovative initiatives that address the growing needs for businesses to develop and retain talent. 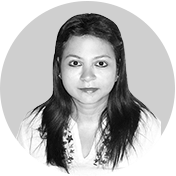 Director, Singapore Swapna manages Netscribes’ Singapore operations and is responsible for strengthening the company's relations with existing clients and developing new business ties in the region. 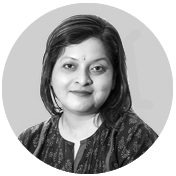 Swapna has a Bachelor's Degree in English Literature from St Xavier's College, Kolkata, and a Master's Degree (Literature) from Calcutta University. Prior to joining Netscribes, she worked in various editorial positions at The Telegraph (ABP group), Bombay Times (Times of India group) and Rediff in India. In Singapore, Swapna was the section editor of a women's magazine under SPH Group.